The EPA received reports on Monday 21 January from the Margate Marina and a member of the public regarding an oil spill in Northwest Bay. A quantity of oil was reported to have spilled from a vessel in the Marina and oil was also observed along the shoreline, halfway between Margate jetty and the Marina near to the Dave Burrows Walk. Marina staff responded quickly to the incident, cleaning-up oil from around within the Marina. Oily waste remaining on the pebbly foreshore north of the Marina is being collected and removed by the EPA. Kingborough Council staff are also assisting in the foreshore clean up over coming days. 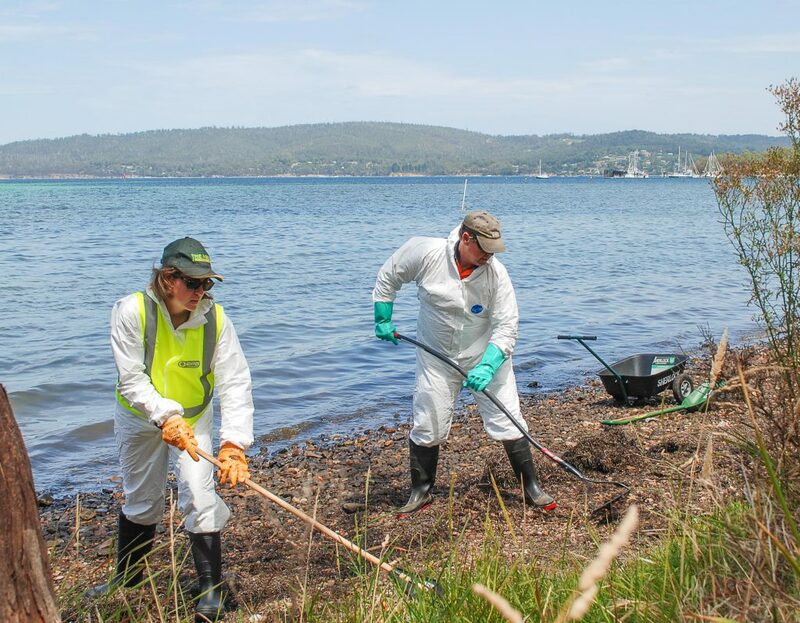 The EPA is currently investigating the possible source of the oil and is working with TasPorts, Kingborough Council and Veolia to respond to the incident.